Winner: Patient-centered radiology: Where are we, where do we want to be, and how do we get there? Kemp JL et al, Radiology, June 20, 2017. To learn more about this paper, click here. The idea for this year's Minnies award for Scientific Paper of the Year sprang from a very personal experience: when the husband of lead author Dr. Jennifer Kemp was diagnosed with rectal cancer. Despite her training as a radiologist, Kemp and her husband found the experience both confusing and terrifying. Dr. Jennifer Kemp from Diversified Radiology of Colorado. "Being on the other side, I could not believe how it felt sitting in radiology waiting rooms," said Kemp, a private practice radiologist in Denver. "I didn't understand the fear that a cancer patient feels, the feeling when you are getting your CT or MRI scan and waiting for the results and not understanding what the results are. I was shocked with the experience my husband went through." 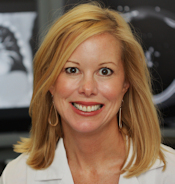 She decided to try to make a change and became involved in various efforts to promote patient-centered imaging in radiology. She joined the RSNA's Patient-Centered Radiology Steering Committee in 2011 and was also involved in the Radiology Cares campaign that began in 2012. Members of the committee began to wonder how they were progressing with their goals. So in 2015 they decided to survey a random sample of the RSNA membership as to whether radiologists were interested in performing more patient-centered activities, and what forces might prevent them from doing so. The results of the survey, published June 20 in Radiology, brought into focus the dilemma facing the specialty. Survey respondents generally agreed that awareness of radiology should be promoted to patients and that radiologists should be available to patients after procedures or exams. But their enthusiasm for patient contact began to wane with activities that took up more of their time. Kemp said she was actually surprised at the enthusiasm radiologists showed for patient contact, though not at the reasons they gave for not doing it more often, such as lack of time in their workday or their workload. "I wasn't surprised when we looked at how many folks actually were implementing these ideas -- it was the minority," Kemp said. "The barriers were time and workload. I feel that in my private practice daily. I'm pretty exhausted and feel like I don't have a spare second." What's the solution? 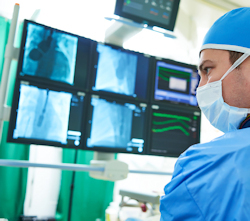 Radiology is currently in a no-win situation, as the specialty's focus on relative value units (RVUs) means that every minute not spent at the workstation is a minute of not getting paid. Kemp admits that it reflects poorly on radiology that money is seen as the barrier to better patient contact, but which private radiology group is going to be the first in its region to take a pay cut so that its radiologists can spend more time with patients? "It's hard to be the group that says, 'We're going to take a hit,' " Kemp said. "The group would be less attractive to work for. If a group makes less money, you're at a disadvantage to recruit top-notch people." Still, she sees some hope that radiology can make progress through small steps that don't eat into RVU production, such as engaging with patients through social media or having reading rooms intermixed with clinical areas to foster more interaction with patients and referring physicians. "Hopefully when radiologists are more visible to patients, then the financial reimbursement will come down the road," she concluded. Runner-up: Women's awareness and perceived importance of the harms and benefits of mammography screening: Results from a 2016 national survey. Yu J et al, JAMA Internal Medicine, June 26, 2017. To learn more about this paper, click here. 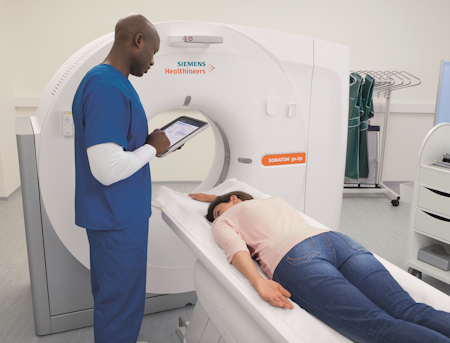 With the CT slice wars more or less over, Siemens Healthineers took a different approach with Somatom go: The firm decided to develop a CT scanner optimized for efficient and economical operation and low total cost of ownership. The Somatom go.Up CT scanner. Image courtesy of Siemens. Somatom go is the product of an exhaustive R&D process that included discussions with more than 500 radiologists, radiologic technologists, and other radiology professionals around the world, according to Andre Hartung, head of the CT business line at Siemens. The goal of the inquiry was to discover the pain points that make life difficult for radiology professionals -- with most citing issues such as rising workload, lower reimbursement, and less access to capital equipment budgets. Access to qualified staff is also an issue in many countries. Somatom go is designed to address these challenges through a workflow that can be controlled by a technologist wielding a tablet computer that replicates many of the functions found on the scanner console. Technologists are therefore freed from being chained to the console and can move about the scanning suite, maintaining proximity to the patient while still being able to operate the system. A variety of functions are possible with the tablet, such as registering patients and selecting scanning programs; confirming scan range and ensuring that the entire organ is within the scanning volume; and viewing reference images on the tablet for quality assurance. The scanner comes in two configurations, the 32-slice Somatom go.Now and the 64-slice Somatom go.Up. As a value-oriented offering, Siemens also made sure that Somatom go has high reliability; the company developed a service package called Connect Plan that is bundled into the scanner purchase price and includes equipment maintenance, support, and education. Connect Plan gives Somatom go users peace of mind and financial certainty in knowing exactly how much they will spend on operating the scanner in the years to come, Hartung said. But the scanner also includes technology found on more powerful systems, such as Siemens' Stellar detectors with tin filtration and the same applications available on other CT scanners with the exception of cardiac imaging. 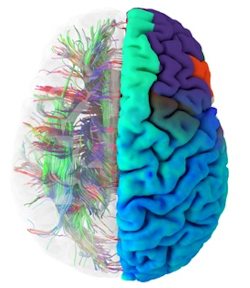 The scanner also supports sinogram-affirmed iterative reconstruction (SAFIRE), the company's iterative reconstruction-based dose reduction protocol, and Care Dose4D real-time anatomic exposure control. Siemens first announced Somatom go at RSNA 2016, and the system received U.S. Food and Drug Administration clearance in March 2017. Somatom go units have been in use at sites around the world, where Siemens is finding that the idea of mobile workflow is being well-accepted. "Although it is a change in how you operate the CT scanner and how you do the preparation with mobile workflow, this is being quite well-accepted from the beginning," Hartung said. "This is a concept that people adapt to quite quickly." Deep learning is all the rage these days, so it may come as no surprise that IBM Watson Imaging Clinical Review was voted this year's winner for Best New Radiology Software. Image courtesy of IBM Watson Health. IBM Watson Imaging Clinical Review is a retrospective cognitive data review that highlights documentation inaccuracies in electronic medical record (EMR) data. It extracts information from unstructured data and compares a clinician's normalized diagnosis with the EMR problem list to flag discrepancies, said Bill Stoval, director of offering management at Watson Health Imaging. "The goal of IBM Watson Imaging Clinical Review is to help support accurate, timely, and coordinated care decisions," Stoval said. "It supports accurate care pathways by ensuring that a condition requiring follow-up is not left off a patient's problem list. It influences the ability of clinical documentation to tell an accurate story of a patient's health to everyone involved in his or her care." Version 1.0 of the software was released in mid-2017 and is focused on discrepancies found in echocardiography reports related to aortic stenosis. Slated to debut in 2018, Watson Imaging Clinical Review 2.0 will add support for 24 additional disease groups for a total of 306 diseases. "Watson Health's strategic approach to those 300-plus diseases grouped into 24 categories was developed based on primary research -- in part with members of the Watson Health medical imaging collaborative -- to identify and rank disease states based on criteria that included frequency of occurrence, likelihood of a disease being omitted from a patient's problem list, the potential risk to a patient if a discrepancy goes unaddressed, and the overall impact on total cost of care for unaddressed discrepancies," said Steven Tolle, global vice president for strategy and business development for Watson Health Imaging. Looking ahead, the company's vision for IBM Watson Imaging Clinical Review and other future cognitive offerings is to focus on optimizing the quality of patient care via retrospective review of imaging data to one day flag potential false-positive or false-negative findings as well as missed incidentals, Stoval said. This year's winner for Best New Radiology Vendor aims to drive the discovery and development of new brain disease treatments with its cloud-based neuroimaging software platform for hospitals, research centers, and pharmaceutical companies. The platform supports data collection, data management, image processing, 3D visualization, quantification, and data sharing, according to the firm. A healthy brain connectome. Image courtesy of Mint Labs/Qmenta. "It puts together data and algorithms in one single space," said CEO Paulo Rodrigues. "We see ourselves as translating computational algorithms into practice -- that being clinical use or clinical trials." Current large customers include the University of California, San Francisco, which is using the platform to manage a multicenter study involving multiple sclerosis. The pharmaceutical company Bayer is also on the client list. More than 100 hospitals worldwide are using the platform, according to the firm. The company was founded as Mint Labs in Barcelona, Spain, but it has since moved its headquarters to Boston. Research and development remain at its Barcelona location, however. In September, Mint Labs rebranded as Qmenta. The Q symbolizes the quality the company strives for, as well as the quantification it performs on MR images, the vendor said. Menta -- derived from the Latin word mensis -- relates to its focus on the brain. Qmenta is focusing at the moment on research applications and clinical trials for the platform and its algorithms. For clinical use, the algorithms would require U.S. Food and Drug Administration 510(k) clearance, which the company plans to obtain. In other future plans, Qmenta is working on developing new quantification algorithms for the brain, including an algorithm that applies deep learning for tumor analysis. In the long term, Qmenta will also expand in the brain beyond MRI into other imaging modalities, and then later into other parts of the body, according to the vendor. CTisus iPearls is the just the latest Minnies win for Dr. Elliot Fishman in the Best Radiology Mobile App category -- he also brought home the trophy in 2016. CTisus iPearls. Image courtesy of Dr. Elliot Fishman. Available in the iTunes App Store, iPearls features "pearls," or short bits of knowledge, on different aspects of medical imaging. Fishman and colleagues at CTisus are constantly collecting nuggets of wisdom they then pour into the app. The format fits perfectly with today's smartphone-oriented lifestyle, as few people carry around a textbook with hundreds of pages. "If you're bored and you're on your phone, you can bring it up and bring up a bunch of pancreas facts," Fishman told AuntMinnie.com. The first edition of the app came out just over two years ago, and the CTisus crew updates it every six months -- version 5.0 came out in May and includes 400 new facts. iPearls tries to focus on information that a radiologist might encounter in daily practice, rather than esoteric facts. 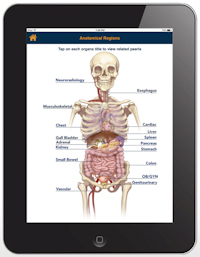 And like all of the CTisus apps, it's available for free. "I think it's something that people like," Fishman said. "It's a lot of information, but in an easy-to-use format." The last of the three awards won by Dr. Elliot Fishman in the 2017 Minnies is for a stunning image of a gated CT scan. The image was reconstructed with a new type of technique -- called cinematic rendering -- that produces amazing photorealistic images. Cinematic rendering of gated CT scan. Image courtesy of Dr. Elliot Fishman. Cinematic rendering has been incorporated into the syngo.via reading and reporting software and the syngo.via Frontier research software packages developed by Siemens Healthineers. Fishman has been working with the technology for about a year. Cinematic rendering draws inspiration from computer techniques used in the animated movie industry, such as by Pixar Animation Studios, and employs a data reconstruction model that varies considerably from volume rendering, which until now had been the most sophisticated 3D technique. Volume rendering assumes that a particular pixel in an image is illuminated by a single ray of light; with cinematic rendering, the assumption is that each pixel is illuminated by potentially billions of pixels hitting it from multiple directions. 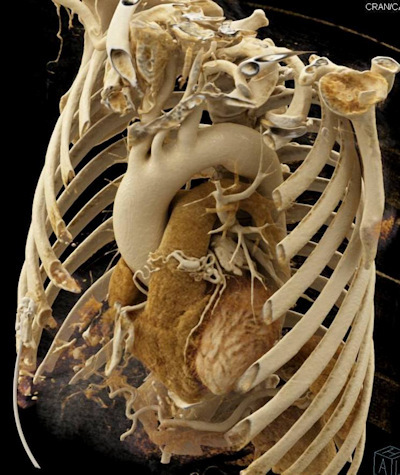 The end result is images that look more like they came from an anatomy atlas than an imaging scanner. Fishman gave a talk on cinematic rendering at the 2017 International Society for Computed Tomography (ISCT) meeting, and he was also a co-author on a paper published in the August edition of the American Journal of Roentgenology. But the question remains, does cinematic rendering just produce pretty pictures, or is it a clinically useful tool? Probably no one is more qualified to answer that question than Fishman, who estimated that he's created a couple thousand cinematic-rendered cases. He sees the technology as great for producing images for presentation at lectures and for patient education, but he also sees potential in the way it renders textures. The texture of an organ can be a good clue as to whether it's cancerous or not, and cinematic rendering seems to do a better job in this regard than volume rendering. Fishman is also working with researchers on tools that apply deep-learning algorithms to analyze cinematic-rendered images. Fishman has also been collaborating with Siemens to bundle the presets he's created for his own use into a future software release. That should make it easier for clinicians to realize nearly the same results that Fishman has achieved. In a radiology world that sometimes can seem jaded by the fast pace of technological progress, cinematic rendering seems to hearken back to an earlier time when there was still a "wow" factor to 3D medical images. "People say, 'What a beautiful image!' " Fishman said. "People don't say that about anything anymore. It's like the Pixar days."